Seats are limited and sell out fast, so we advise booking well before the end of year. 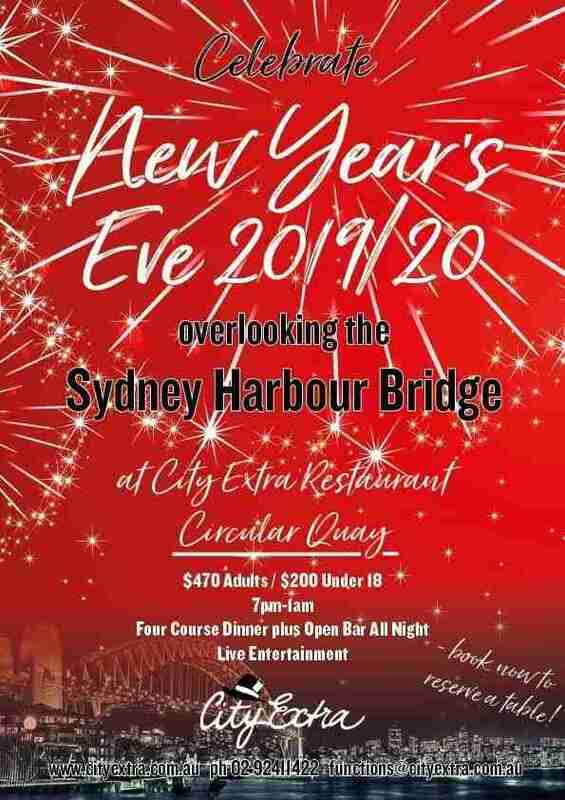 Not only will you get to take in the sights but you will also be able to enter the ticket only area of the Sydney Harbour foreshore. A Four (4) Course meal prepared by the City Extra Kitchens on site. To take in both the 9pm and 12:00am Fireworks. Upon Payment of Deposit, your table and seating will be assigned. Upon completing booking form, you will be redirected to Paypal to complete your booking. Please let us know of any special requirements e.g. Dietary Requirements, allergies etc. Proceed to Payment to finalise 50% deposit.